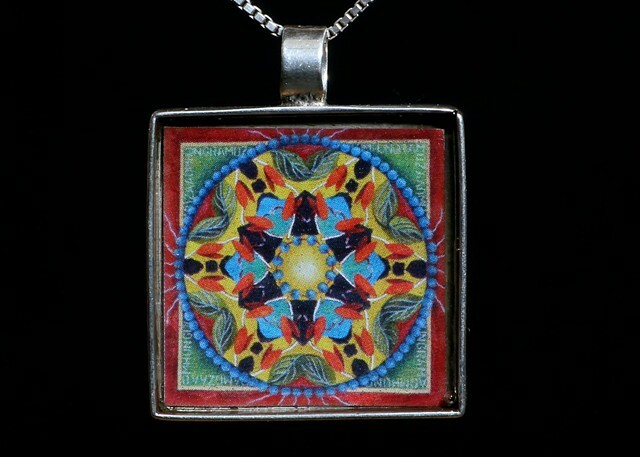 1" square pendant of an original painting from my Mandala series. The pendant is sterling silver and the digital photo is protected with a thick coat of resin. Included is a 16" sterling silver snake chain..